I had a delivery the other day which was pretty exciting. 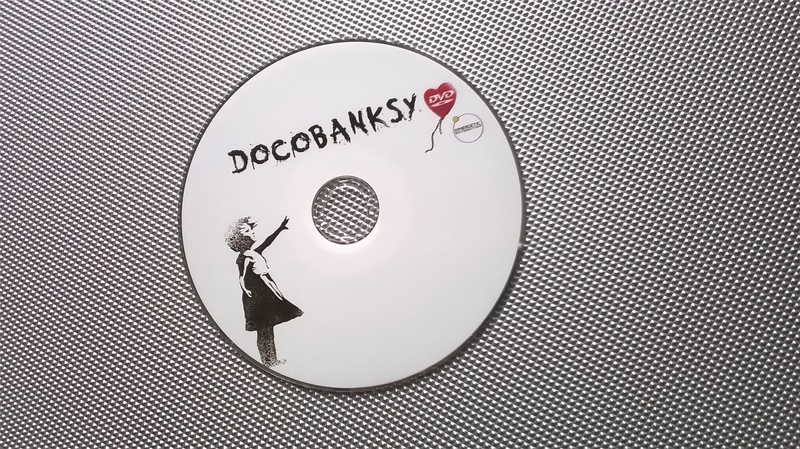 Our American distributor, Synergetic, has been working hard to raise awareness of docoBanksy on the other side of the pond. 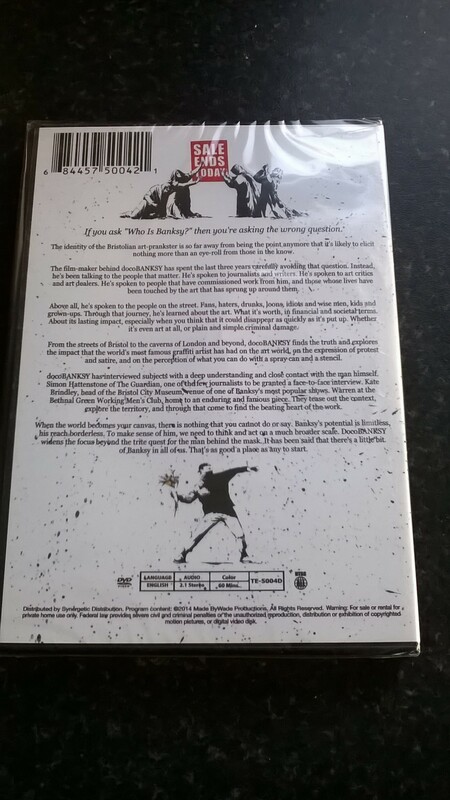 They’ve sent me over a few examples of the retail DVD. Text on this is by my partner in crime, Rob Wickings. Looking good, don’t you think? If you’d like a copy, MadeByWade is your first best line of contact. Drop us a line using the contact form below, and I’ll hook you up with a personalised copy for just a tenner.